Make no mistake, this mournful heart condition that He forms in us, of longing for the things of Christ to be seen and established and over all, is indeed blessed: not a selfish cocktail of leadership insecurity and lime-light grabbing tendency; not a bunch of immature responses of the flesh to the people we’re called to love and the world we’re called to as Priests; but a deep work of the Spirit of God in our lives to hate sin, kill sin and lead towards His salvation. We all need to cry out for God to transform our hearts and give us hearts like His, hearts of genuine love for others and deep respect for each individual as a unique creation of God. Servant-leaders acknowledge daily that their hearts need God’s transformative power. Because all of us are prone to idolatry, we are likely more prone to one expression of sin than the other. If you are prone to laziness, you likely enjoy comfort and leisure more than accomplishment and the grind. As I have offered four ways to fight being a ministry workaholic, here are four ways to fight being lazy in ministry. Here are ten tactics used to avoid accountability for mistakes, poor practice, dysfunction, and outright deviance. Just a little rain transforms an arid desert into a magnificent blooming garden. That rain changes the arid environment and draws life from dormant seeds. The same can happen when we face changes in our lives. Sam experienced not one, but four painful organizational changes in his 24 years with World Vision. He said, “I was laid off once, resigned once and ‘stormed out’ once.” Sam outlines some growing lessons from Psalm 37. Organizations and communities offer tremendous opportunities to share and give of our talents, time, financial and other resources with each other. We know that the sharing begins with love. The Bible exhorts us to share generously and give cheerfully. Each of us has so much to give. What do we do when our gratitude decreases, when our honest grading of our gratitude is pretty low? The solution is not to give ourselves a pep talk to be less of a worrier or grumbler. The solution is to look to Jesus. How do we stay the course, when we encounter that first stretch of choppy waters, that initial rough weather; those challenges that accompany setting sail towards achieving our personal or organizational purpose? The issue of a leader’s personal character is crucial, especially considering followers of Jesus Christ should be outstanding examples of trustworthiness. Yet there seems to be a lethargy and complacency concerning integrity among some Christians, which is out of sync with so many of the teachings in Scripture. So how do we learn patience? Patience is about love and value. The more we love others, the easier it is to be patient with them. The more we value and respect someone, the longer it takes them to get on our nerves. Is My Leadership in Danger? As we grow secure in our leadership it can become harder to discern between anointing, depth of respect, loyalty and strength of character. This is the danger zone where we have to be aware of the power we are wielding. Unfortunately, often by this time we are unaware of the danger and no one is willing or able to say NO. Let me illustrate with a YWAM story. How Would You Describe Leadership Integrity? Leadership, at its best, inspires others toward what is true and beautiful. How do good leaders stay on track? This is a precious story written by a Chinese leader during a time of deep trial and brokenness in her life. John Owen strongly challenged: “Be killing sin or sin will be killing you.” Overcoming temptation is active, not passive. Here are three temptations leaders must fight against daily. What About Those Stubborn Sinful Habits? 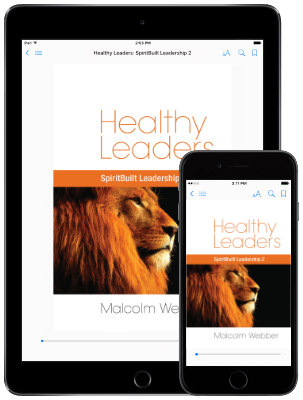 We know healthy leadership requires good character, but how do we deal with those headstrong, sinful habits?